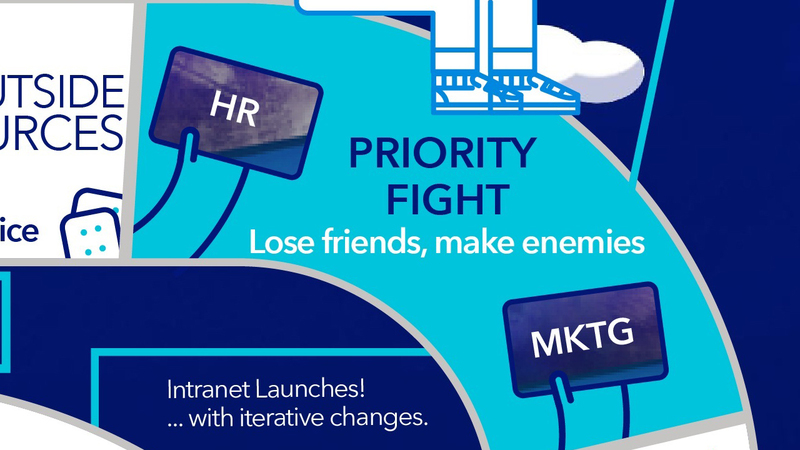 Can your team manage the creation of a new intranet? 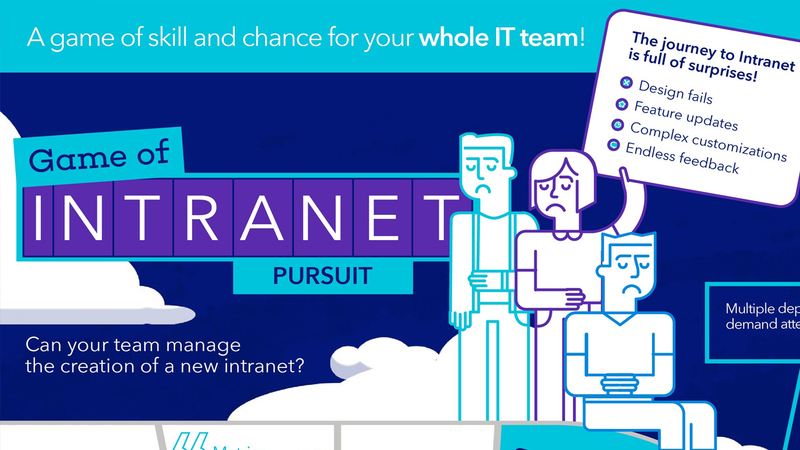 Roll the dice and take your chance at the Game of Intranet Pursuit. 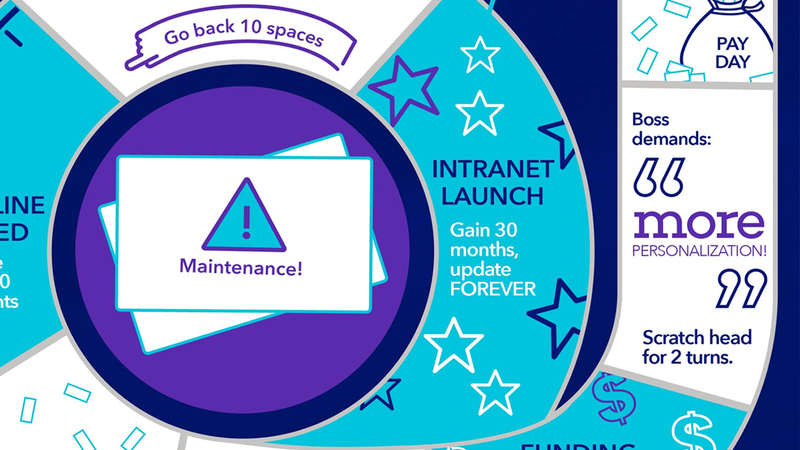 When tasked with adapting the top 20+ paint points of building an Intranet from scratch into a fact sheet, my art director and I knew there had to be a better way to share the information and do so in a way that would make it shareable. This board game was the winning concept. It was widely shared and spurred many spin-off projects. 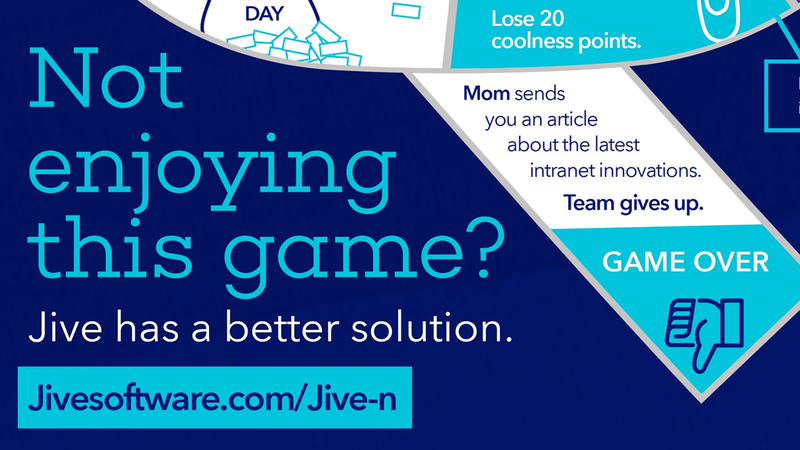 Click to see in full-size.